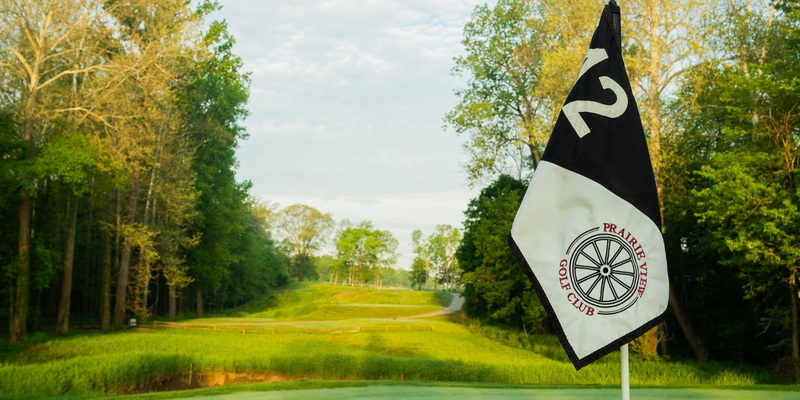 Located on 206 acres in Hamilton County, this Robert Trent Jones, Jr. masterpiece is Indiana's premier daily fee golf facility and clubhouse, perfect for Wedding Receptions and Group Events. This world-renowned architect blended 18 holes of traditional golf design into the natural beauty created by the rolling prairie and towering oaks and sycamores that characterize our site on the banks of the White River. A clear running stream that meanders through four holes, natural wetlands, and five serene lakes placed strategically throughout the course serve to complete a truly unique playing experience. In creating his first course in Indiana, Jones has made sure golfers of all abilities enjoy their round at Prairie View. Ninety white sand bunkers sprinkled throughout the course, lakes, wide, bent grass fairways all provide a challenge regardless of which of the four available tees you select. Prairie View Men's Club plays on Wednesday afternoons for 24 weeks between April and October. Contact Prairie View Golf Club at 317-816-3100 for more information and details on holding a golf outing at the course. Contact Prairie View Golf Club at 317-816-3100. Contact Prairie View Golf Club at 317-816-3100 for onsite or nearby dining options. This profile was last updated on 02/22/2016 and has been viewed 27,499 times.